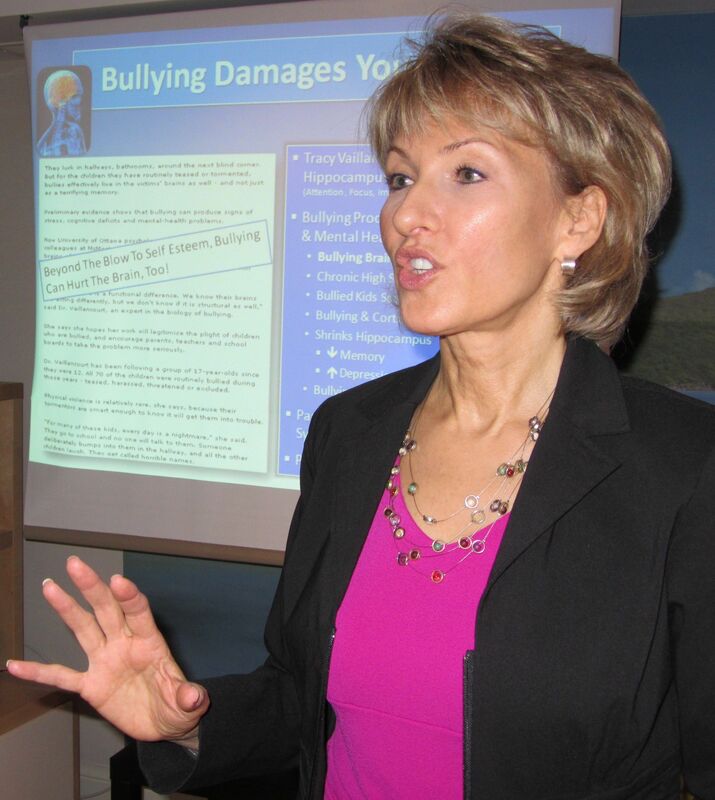 Lorna offers a wide range of workshops about Respect, Bullying Prevention, Conflict Resolution Skills, Stress Management, and Emotional Intelligence. She works with adults who work with children – teachers, parents, school councils, mental health professionals, coaches, and camp counselors. For information on her Bullying Prevention & Conflict Resolution workshops, please visit BullyingEpidemic.com. Lorna lives in Toronto, Canada and gives workshops and presentations in North America and internationally, upon request. Contact Lorna for more information. Respect, for ourselves & others, drives our important life decisions – the friends we choose, how we approach school and work, the challenges we accept or avoid. Girls’ self-respect is under attack from all sides. How do we keep young women grounded in respect? How does this affect boys’ self-respect and relationships with girls? Learn about Girls’ Respect Groups, a unique after-school program for preteen girls, led by specially-trained high school girls. Working together, both sets of young women learn to make choices with self-confidence and self-respect. Join us to learn how to train teen girls to be inspiring GRG leaders & bring Girls’ Respect Groups to your schools and communities. Girls’ Respect Groups is a unique, 6-week after school program for middle school girls, led by high school teen girls. Fun activities, games, and core reading material from the book Respect by Macavinta & Vander Pluym encourage middle school girls to build supportive networks of girlfriends and walk away from frenemies. With the kind-hearted guidance of teen GRG leaders, middle school girls examine respect, understand how it will affect the rest of their lives, re-examine current behaviours and friendships, & learn how to make choices grounded in self-respect. 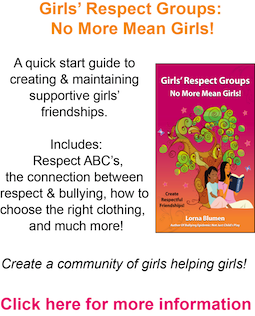 Learn how to bring Girls’ Respect Groups to your school! Looking for a great volunteer project for teen girls? The GRG High School Leadership Training Program is a unique, 10-week after-school program which prepares teen girls to become kind-hearted, compassionate leaders of the GRG Middle School Program. Leaders-in-training are taught the GRG curriculum and the facilitation skills needed to become capable, confident leaders. 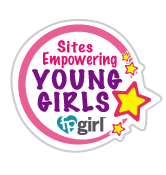 Offer your life experience to guide preteen girls through the rough spots. Learn how easy it is to start a GRG Leadership Training Program at your school or in your community. Build a positive community of girls helping girls! Got enough stress? Work, home, kids, schedules, meals, sports, laundry, housework, early mornings, late evenings, drive-through meals – ENOUGH! We’ll never eliminate stress, but how do we find balance? How can we be resilient and thrive under stress? Join us for this workshop on Stress Survival Skills. We’ll do a stress-assessment quiz & identify 10 surprisingly simple things we can start doing right now to lower our stress levels. Life may not be simple, but we can make it easier (or harder) with the simple choices we make every day. Emotional maturity, EQ, emotional intelligence. What is it? Is it really more important for success in life than academic achievement? How do we support our kids to develop the critical skills of empathy, respect, integrity, independence, flexibility, optimism, problem-solving, compromise, and delayed gratification? Everyone’s born with a unique temperament. How do we help our kids make the best of what they’ve got? Can parents increase their own emotional intelligence or is it too late for us? Join us for a fascinating discussion.